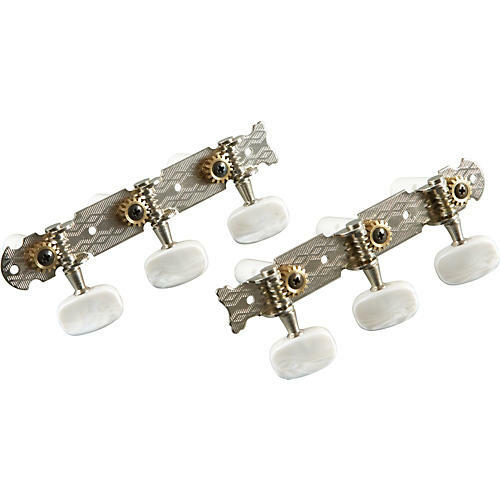 The ProLine 3+3 Tuning Machine Set, Open Gear Plank are standard size and designed to work with most classical guitars. The tuning pegs are 3/8' in diameter. WARNING: This product can expose you to chemicals including Naphthalene, which is known to the State of California to cause cancer, and Lead, which is known to cause birth defects or other reproductive harm. For more information go to www.P65Warnings.ca.gov.